What boosts your odds of a car accident? Your MOOD! Driving angry, anxious or teary-eyed makes you 10 TIMES more likely to crash! That’s because your brain is occupied elsewhere, as the emotional part overrides the rational part. Leaving you distracted, even if your eyes are on the road. Which decreases your reaction time and makes you less likely to see a risky situation before it’s too late. If something ticks you off – SAY so. People who express their anger, instead of keeping it bottled up, live two years longer. According to the journal Health Psychology, keeping your feelings inside increases your chances of high blood pressure – and even cancer! But releasing your feelings reduces that risk. 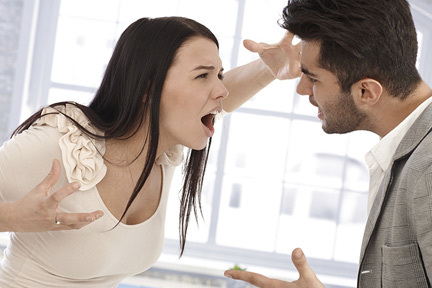 Ladies, if the man in your life upsets you – speak up! Women who avoid conflict with their spouses by keeping their feelings bottled up are 4 times more likely to die from ANY cause than women who express their feelings. That’s because emotional strain wears you down mentally and physically. like a cranky baby. It’s all chemical – because not eating for a while can cause levels of the happy hormone, serotonin, to drop. That makes it more difficult to regulate our emotions. So, to stay on an even keel, never get to the point where you’re absolutely famished.